Idyll in the hills of South Limburg! Quietly situated in the up to 5-star proclaimed hiking and cycling ... four comfortable and attractive 2 - and 4-person apartments in renovated farmhouse on 6000 m2 of land and more than 170 meters above sea level! From the living room and the adjoining terraces / balconies with stunning panoramic views over the hills. Arrival between 15:00 and 18:00. Check for rent apartment no later than 10:00. If you rent on Bed & Breakfast basis then the extreme departure 11.00. 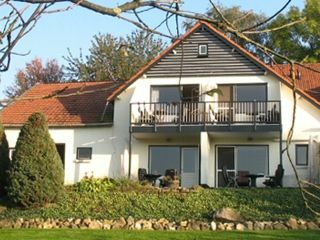 Address: Property 't Herfse, Schweibergerweg 68, 6281 NJ Mechelen. Phone: 043-4551701. Confirmation and directions will be sent to you after booking.